The Testing Station is a VOSA-approved facility providing Class IV, Class V and Class VII inspection services for customers in the local Wallington and Hackbridge areas. We cover all vehicle types from passenger cars and LCVs to minibuses and motor homes. Our close proximity to Hackbridge Railway Station makes us the commuter’s favourite choice for MOT testing, vehicle repairs and car servicing in the local South and Southwest London areas. Our garage works to VOSA standards on all MOT testing work. We are regularly monitored and inspected ourselves to ensure all personnel adhere to the latest inspection requirements. 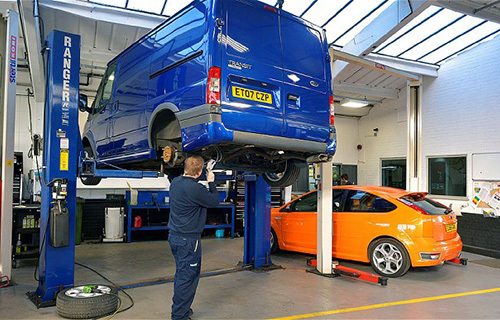 The Test Station has dedicated bays available for MOT inspections and a comfortable viewing area for customers who prefer to wait with their vehicles while we undertake the annual test. Following the MOT test, we issue a pass certificate if your vehicle is deemed safe and roadworthy. Often, we can still pass a vehicle with minor issues by making recommendations on the supporting documentation issued to customers. 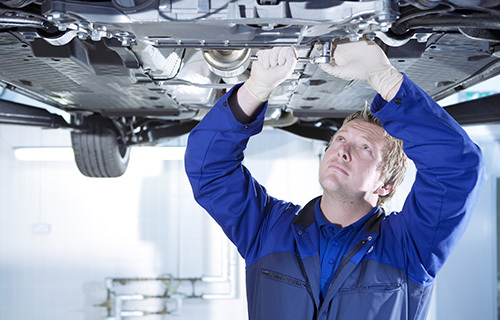 If your vehicle fails the MOT, we can perform the necessary repairs and present it for a free retest. We are vehicle servicing specialists with the equipment required to perform scheduled and interim services on all vehicle makes and models. Many of our technicians have main dealership experience and because we work to recommended schedules, we perform all servicing work to the same standards as dealerships but without the expensive price tag. This ensures all vehicles, including those under warranty, undergo full and professional workmanship that preserves full service histories. Our highly trained technicians have the ability to undertake traditional mechanical repair and component replacement work to the highest standards. However, we remain fully aware that modern vehicles have more challenging repair requirements built around the engine management system. 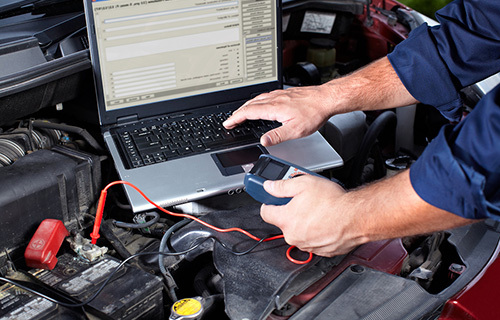 The Test Station continually invests into staff training and advanced trade technology so that our business can deliver the latest engine diagnostic and repair services. Copyright 2018. The Test Station. All Rights Reserved.